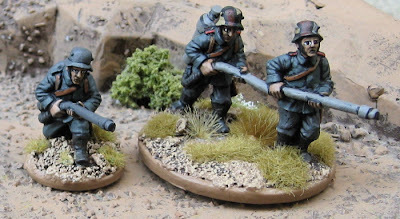 Great War German pioneers with flamethrowers from Renegade Miniatures. A German Dragoon from Wargames Foundry and a French Dragoon bugler from Great War Miniatures. 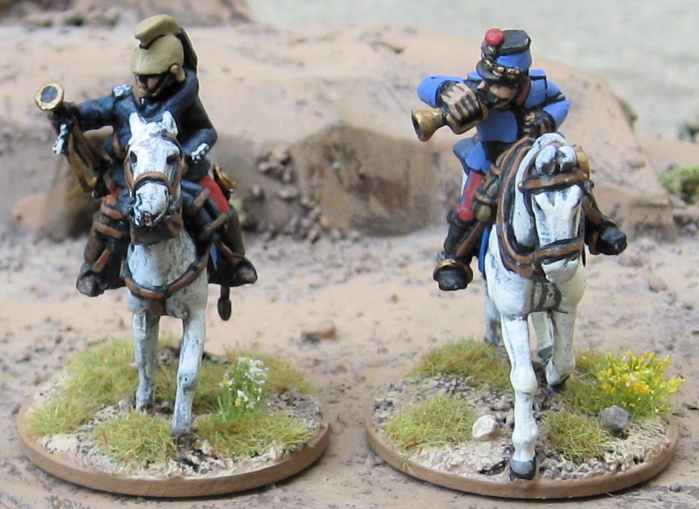 French Buglers Great War Miniatures on the left, Renegade Miniatures on the right. 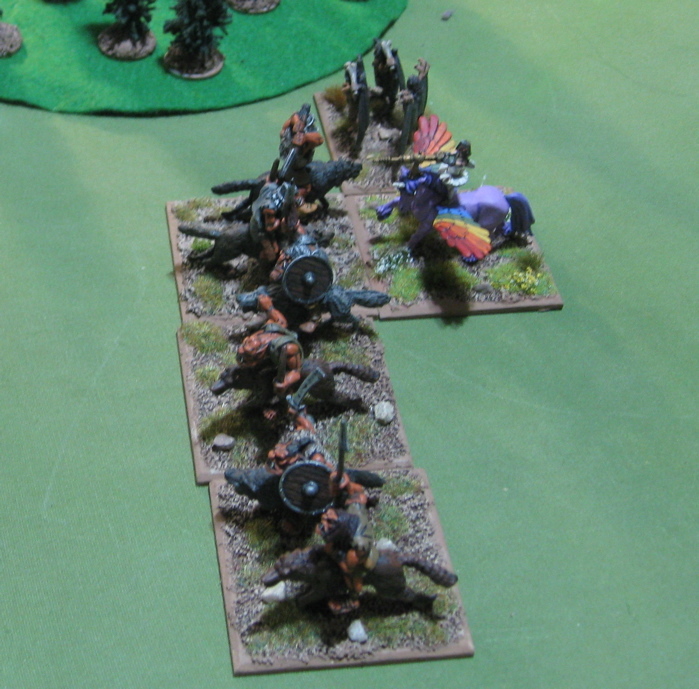 From the side it's a bit more clear that the Renegade horsies are considerably larger. 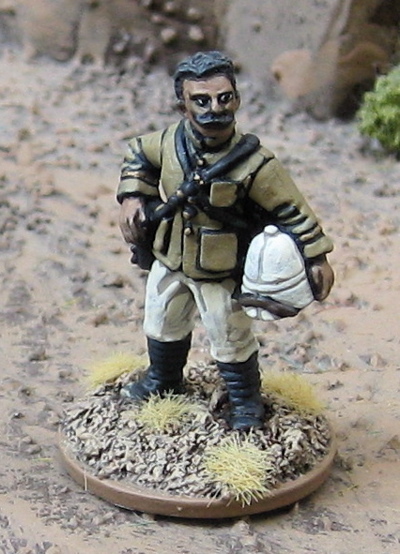 Finally a French Foreign Legion officer from Artizan Designs. Not Great War, per se… (but could probably be passed off as such). 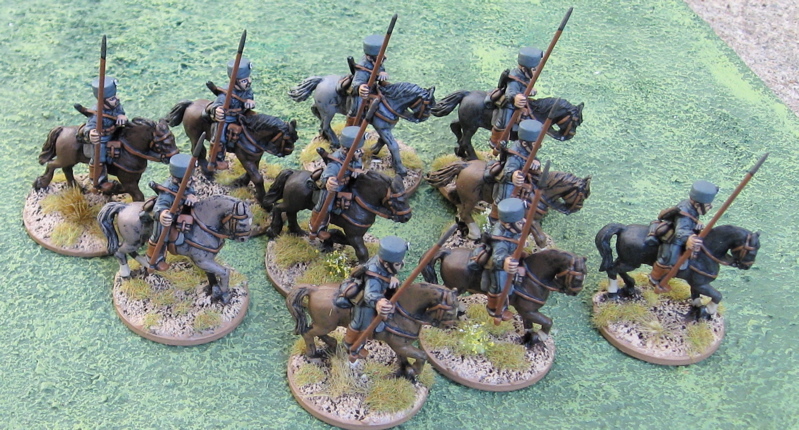 Actually in terms of Great War Cavalry there is the rest of the unit of German Dragoons that are well under way – horsies more or less finished. There is a unit of Indian cavalry men – which are based and repaired and primed and ready to go. 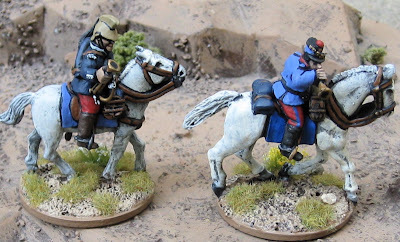 There is the rest of the unit of French Dragoons – the officer and one dragoon are underway, the rest require some repair and shortening of lances (so they will fit in my storage boxes)… There’s a unit of Great War British on the way from England. 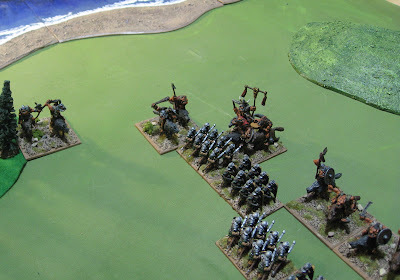 Maelstrom Games is moving warehouses and had a warhouse clearance sale – 30% off – so I picked up enough later war British to do a unit of Canadians – one of those “wouldn’t it be nice to do someday” units…. Of course the day after I ordered them Paul from Saber’s Edge was having a little Online Garage Sale of his personal never-going-to-get-painted lead pile… and wouldn’t you know it – there’s some more Great War stuff – including the Old Glory bag o’British Cavalry – which was also on the “wouldn’t it be nice to do someday – if I ever needed a SECOND unit of late war Cavalry” list… Aye-yi-yi… anyway, THEY’VE arrived and are based and primed and ready to go on the workbench. 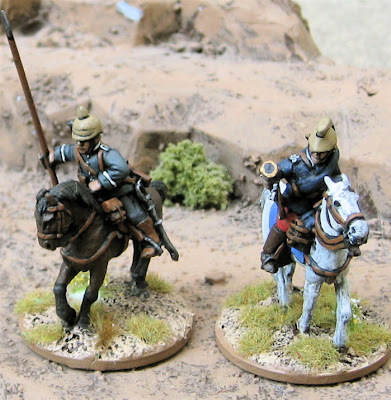 So I have two units (of the three) for the Canvadian Cavalry Brigade… Which shall I do them as? Lord Strathcona’s Horse? 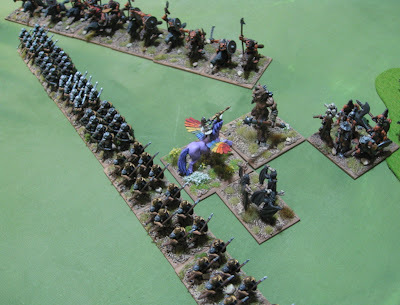 Royal Canadian Dragoons? Fort Garry Horse? 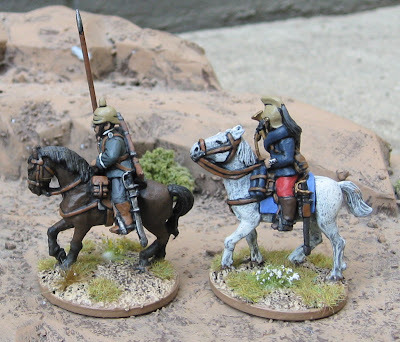 A unit of early Great War German Hussars. More Great War stuff…? Or WW2 Soviets… or something else. 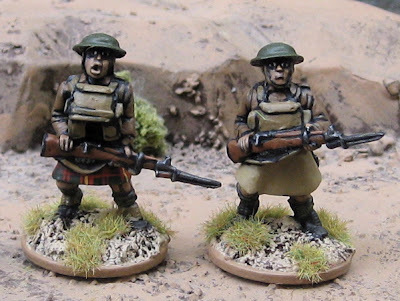 These are kilted WW2 Highlanders from West Wind Productions that I recently picked up during a sale (which very well may still be going on, I kind of just don’t want to check in case it is and I do something stupid like BUY MORE!?). 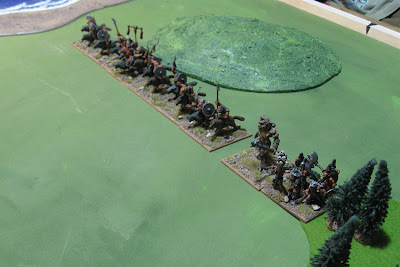 One I painted with a kilt apron (though it seems they were not in use in 1940... I may have to go back and change that...), the other in something like Cameron of Erracht (as the 1st Battalion of the Queen's Own Cameron Highlanders seems to be the only Scottish unit to retain their kilts after the order was issued to do away with them). I have six more of these... I should just finish them up and be done with them... of course I have four-five-six-ten more of a LOT of things that I should just finish up... 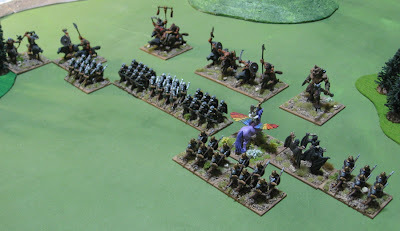 It probably won't be these, as what will painting the remaining six get me? 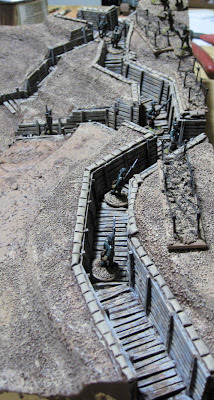 Not a complete unit of anything... Of course they could be used as an incomplete section in a fighting retreat sort of scenario - making their way back to Dunkirk...? 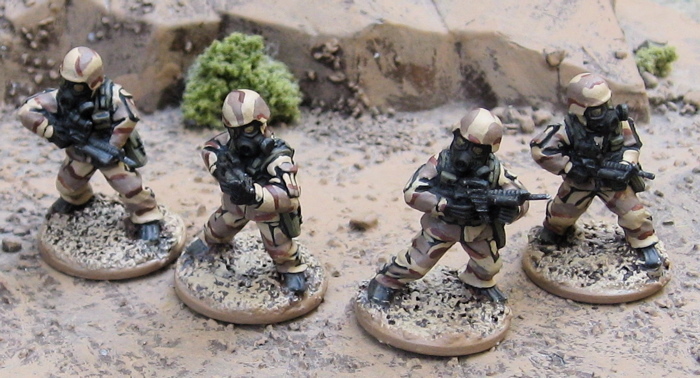 A few more modern Gunmen form Wargames Foundry Street Violence line. Another Agent from The Assault Group. More Great War Cavalry that I’m just finishing up…. West Wind Productions is currently having a 10th Anniversary SALE (30% off Berlin or Bust and Arthurian Ranges…). 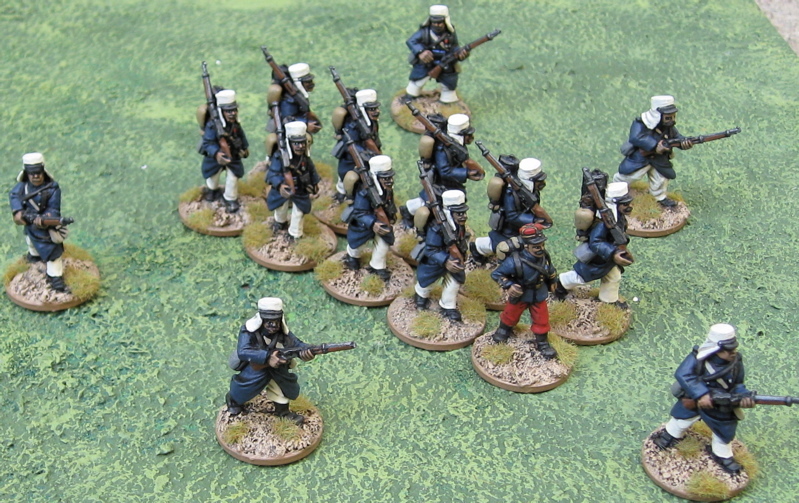 How could I resist adding some more Naval Infantry - especially ones with rifles (since a ridiculous number of the ones I already have are armed with sub-machineguns). 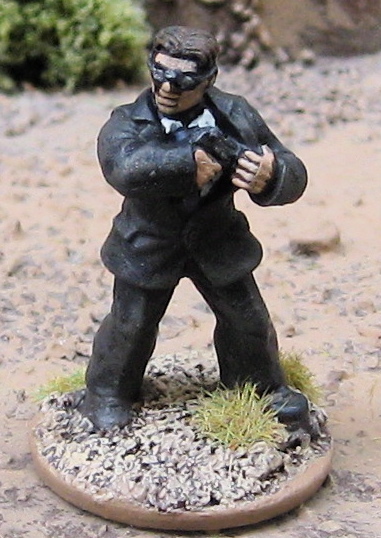 I also picked up some Soviet and German Staff (possible targets for Pulpy assassination raid scenarios?) 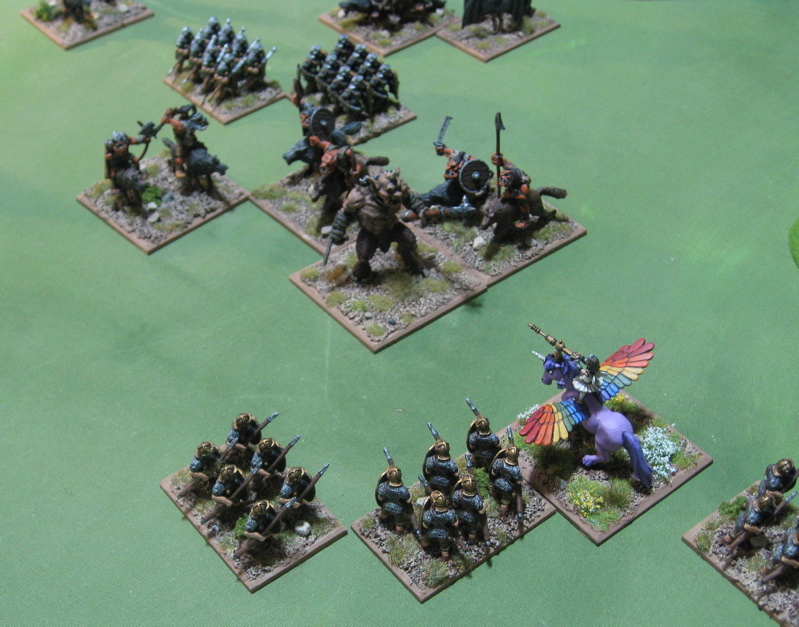 and some early war British (well… SCOTTISH!) Highlanders in kilts (just… don’t ask…). The figures from West Wind Productions. The whole force (growing larger). 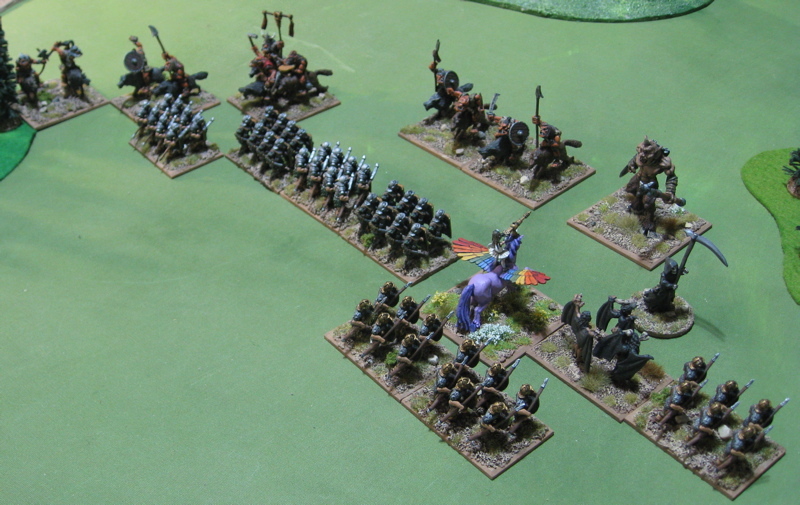 Damn, that's pretty much a full platoon I've got there now!? What ever shall I DO with them all!? 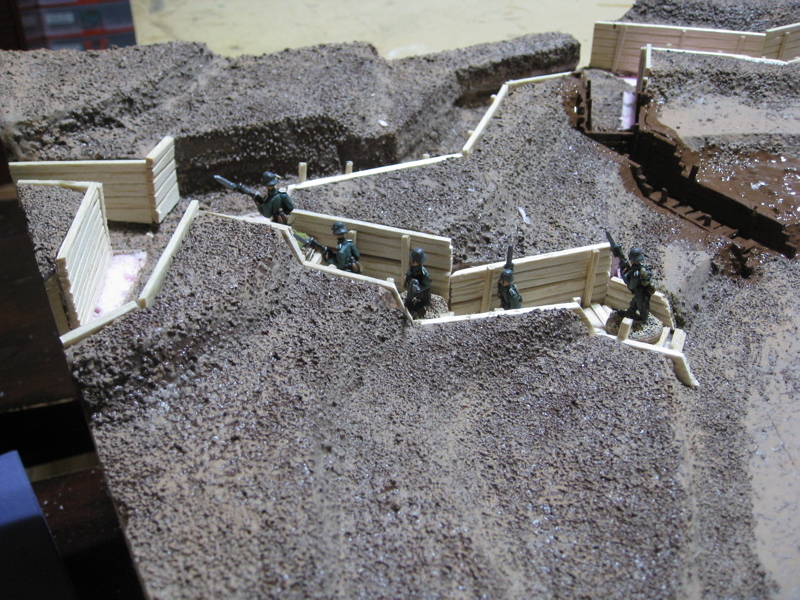 From Left to Right: Black Tree Design, West Wind, Bolt Action, West Wind, Black Tree Design, Bolt Action, West Wind, Bolt Action. 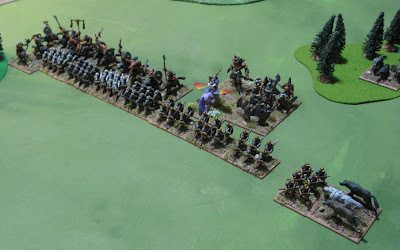 Great War Cavalry or The early war Highlanders (in kilts!) 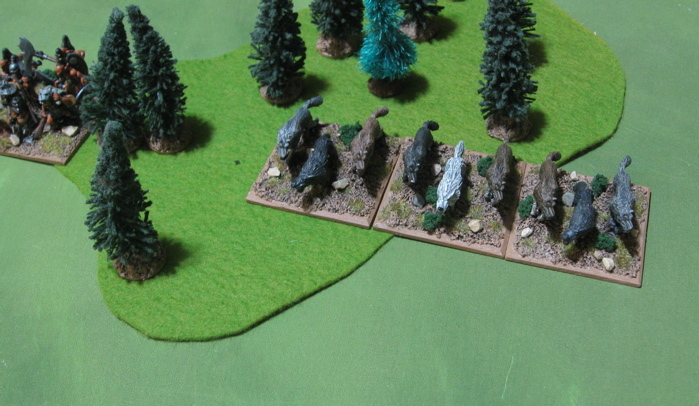 or maybe more of the Soviets, since I’m on a roll with them… I have only the staff, a couple scout/snipers, and a handful of NKVD to finish up and the whole force is COMPLETE (until I buy some more…) Oh, and I think there might be a couple tanks that need finishing up. Seriously what more could I possibly ever want to get for the WW2 Soviets!? (Well, probably some more naval infantry – I’d use the Back of Beyond Bolshevik Sailors from Copplestone Castings to add some more rifles to the unit… the uniform and equipment look more or less the same… Of course considering I have a full platoon already, that would probably be a bit silly… WHEN am I EVER going to need THAT MANY Soviet sailors!? (Not that that has ever stopped me from buying and painting stuff before…). I don’t know if you can see them there (because they’re so well camouflaged! ), but there’s four Americans in NBCD gear from The Assault Group in this picture. I picked up this pack to add to the ones I already have to fill out a squad of sorts. I love (LOVE) that you can order a single pack direct from the Assault Group and not have to pay an astronomical amount of postage. Here’s the whole squad together…. I’m awfully tempted to pick up a few more (that’s the truly eveil part of being able to order any number… is you can just order one or two or three packs and “hey it’s only ONE pack, right…?” and then you order a few more…)… or perhaps I should pick up a pack of Copplestone Castings Bio-Chem Squad for some (rather heavily armed!) CDC specialists. Oh, so much fun on the workbench these days… Maybe it’s time to clear it off and start fresh… the same old WW2 British Paras and Soviets are there (plus a few new ones that just arrived… West Winds was having a sale… curse them…) and a pile of Great War cavalry all based and primed and ready to go (shall I start with the Germans…? 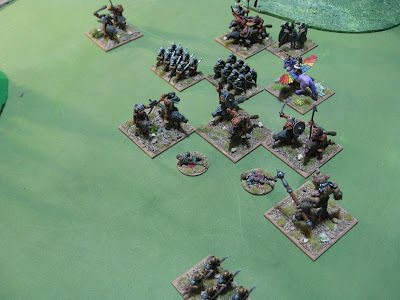 or the colourful Frenchies? )… Ancient Greek… assorted Modern–ish stuff… yadda-yadda same old stuff, who knows which I’ll do next…!? I still have some work to do on these but I'm pretty happy with how they're turning out so far. As this is the reverse slope of the ridge I thought I might do some patches of grass - as this side wouldn't have been so churned up buy the shelling. 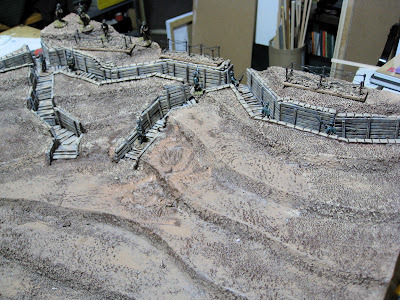 The figures are from Artizan Designs “March or Die” line. I’d picked up a couple of packs when they first came out – thinking I might use them on Mars (as I was excited about Space:1889 at the time). 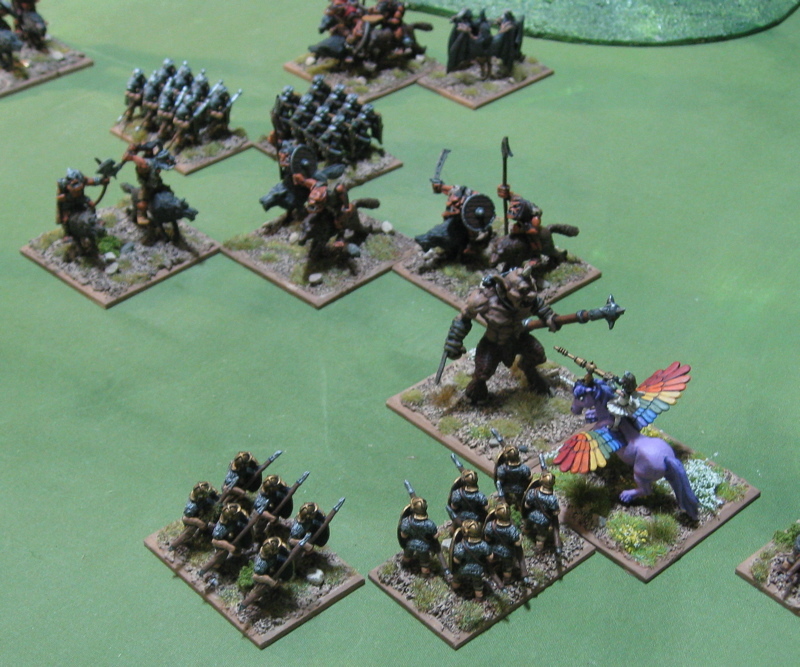 But didn’t get to painting more than two. 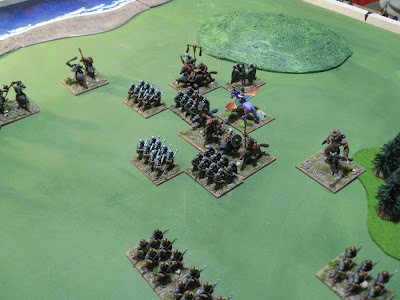 I have a total of three units of Legionnaires. One unit in sun helmets, two in covered kepis. This is the first I’ve completed. I’m not sure when I’ll get to the others…. Perhaps when I get interested in colonial conflicts again. 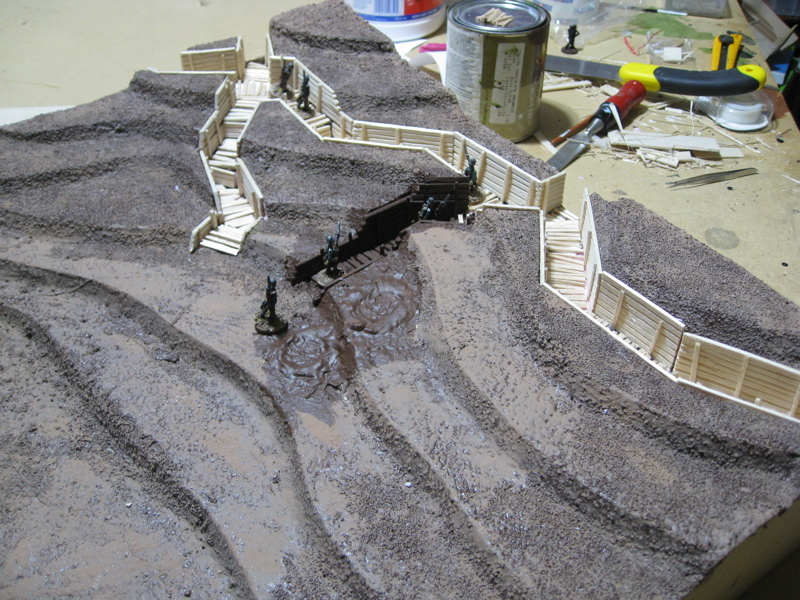 I finished up placing sandbags on the Vimy terrain square I was working on and covered the whole mess with dark brown paint – when I finish the detail painting I’ll post some more pics of that. These are all from Wargames Foundry’s Street Violence range. Some more Great War Cavalrymen arrived in the mail today (thanks Will!) as well as some more mordern US Soldiers in NBCD Suits (thanks Assault Group!) – expect to see some of those rolling off the line soonish! Anyone who’s been paying attention will have noticed my interests have shifted once again to the Great War. 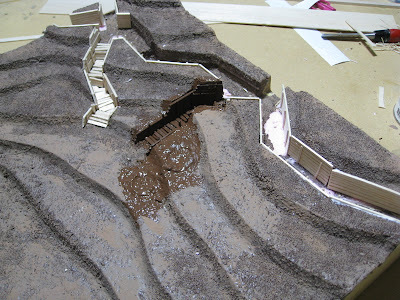 And that’s got me thinking about the Vimy Project. I’ve realized as I have only five years until the 100th Anniversary it’s time to pick up the pace! As I’d noted in a Revisiting Vimy post about a year and a half ago, The terrain needs some work; The trenches needed to be widened as I’d re-based all the figures and they simple wouldn’t fit into the trenches and also I’d never really finished them up the way I’d like. I’ve started working towards that and I have to say I’m pretty happy with how it’s coming along. This is the north east tile of the Fourth Division’s area of attack (so these are the German reserve trenches and communication trenches). 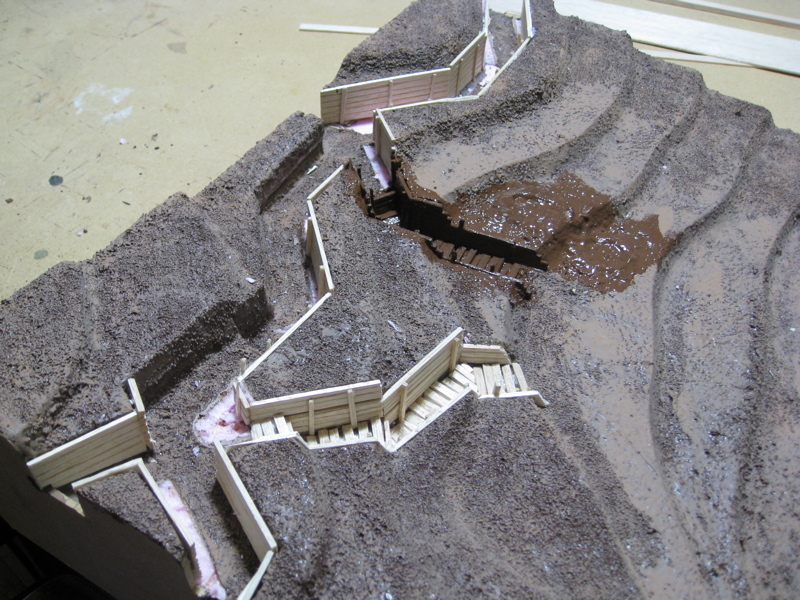 I’d thought of a couple different ways of doing the revetting, but had some balsa wood lying around and decided to experiment with that and it seems to work quite well. 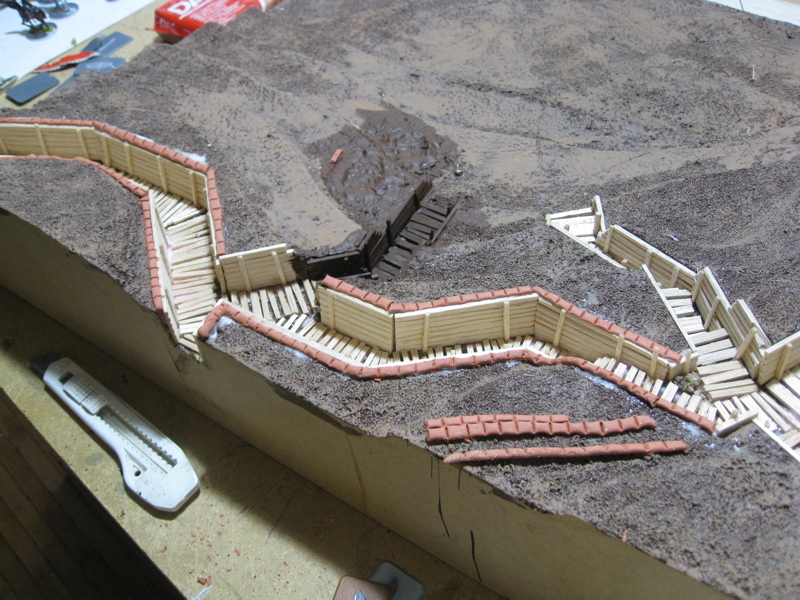 This all still needs to be repainted… and I’d like to maybe add some patches of grass to this reverse slope of the ridge. I’d also like to add a sandbag parapet – at least to the fire trenches, perhaps not the communication trenches as a way of distinguishing the two. 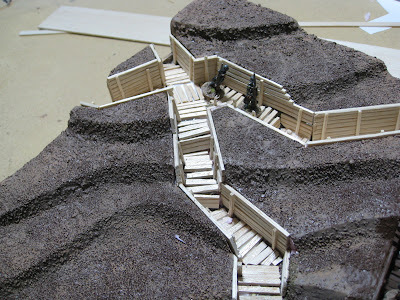 I’m not sure how I’m going to do this – I need to do if fairly cheaply as I have a LOT of trenches to do. Casting (or buying cast) resin sandbags is out of the question. I bought some Das (a self hardening clay product) to experiment with. If anyone out there has any ideas I’d LOVE to hear them! A few Machine-gunners for my Great War Canadians. These two teams are from Renegade Miniatures and are destined for the Third Canadian Division (grey patch). 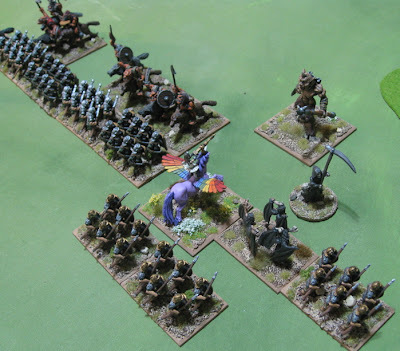 An entire brigade in that division is made up of Renegade minis. These two teams are from Old Glory and are destined for the First Canadian Division (red patch). Renegade on the right. Old Glory on the left. 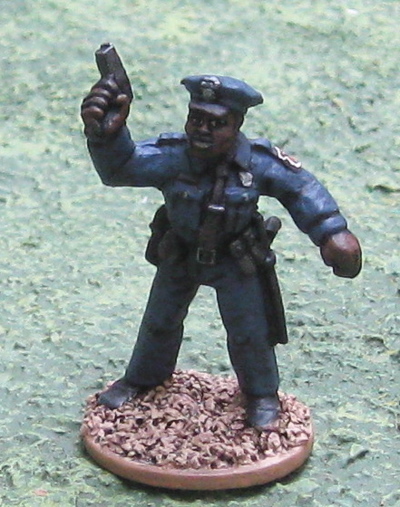 I did one of the cops from Wargames Foundry , just to see what they look like. I don’t know about the shirt… Dark blue or light blue…? 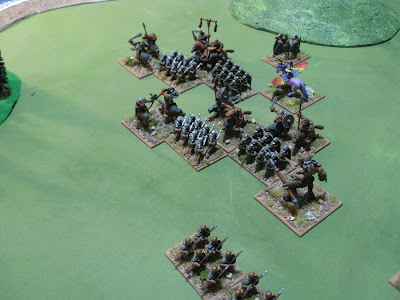 French Foreign Legionnaires, Modern Cops, Zombies… roughly in that order… maybe.... and hopefully a few more game reports! It’s been too damn long since me and the kids got some gamin’ in. So we threw down with some HOTT this afternoon. 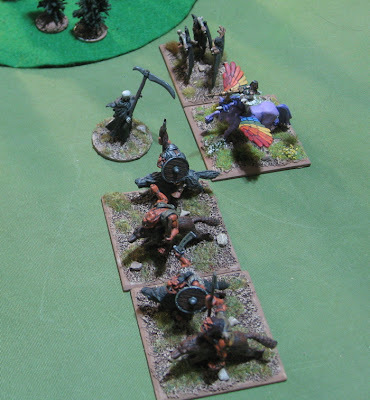 After her crushing defeat at the hands of Isengard (hmmmm… I don’t’ seem to have done a game report for that one…? ), the Magical Faerie Ballerina on Flying Rainbow Unicorn went traveling and found herself in Rome, which was beset by a host of evil smelling Orcish invaders. 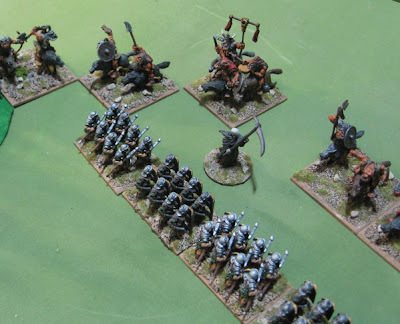 Determined to protect innocent peoples (and apparently Romans…) from evil Orcish invaders she took up their cause and led them in a defence of their lands. 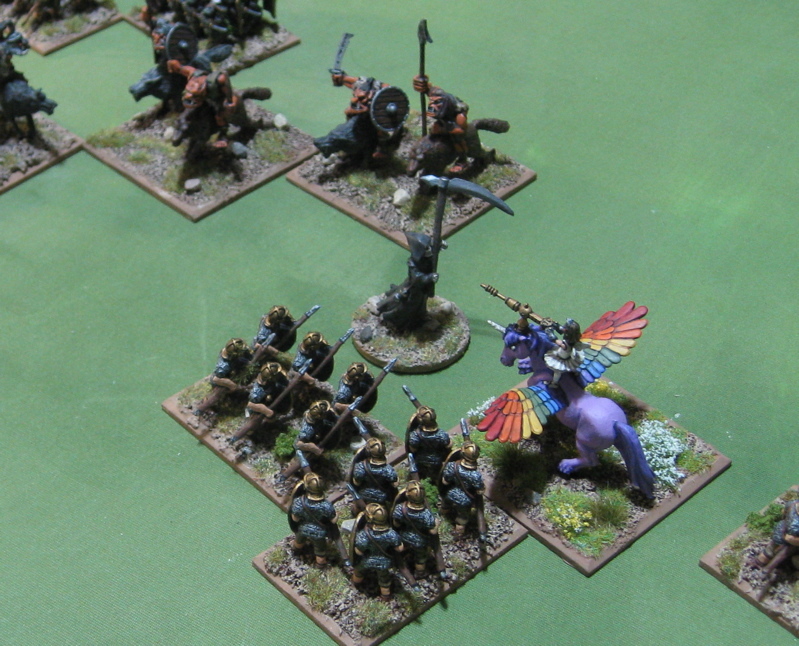 As ever (it seems) Keira was defending against her brother’s aggressions. The Roman army with their Magical Faerie Ballerina on Flying Rainbow Unicorn leader and allied Harpies. Magical Faerie Ballerina on Flying Rainbow Unicorn leading from the front as all Magical Faerie Ballerina Generals on Flying Rainbow Unicorns should. Opening moves. Keira only rolled one PIP so she couldn’t even move her aerials (if she’d rolled 2 I’m sure they would have surged ahead on their own!) so the rest of the line moved up and passed them. 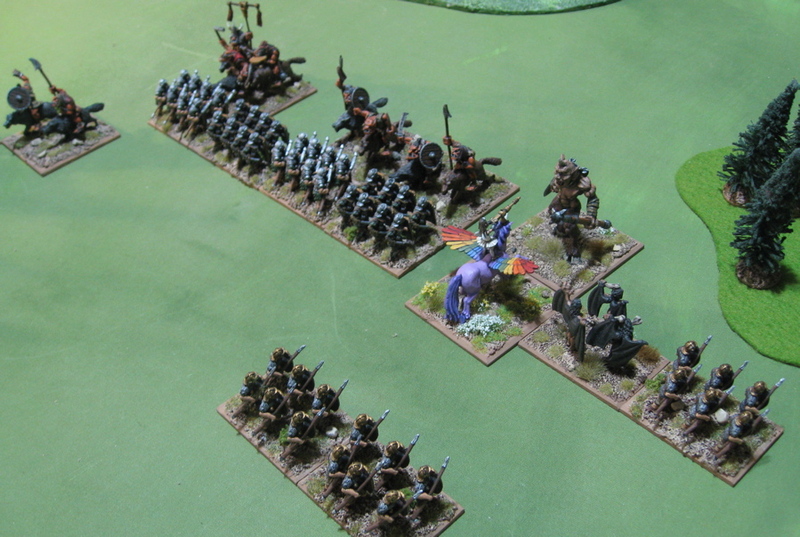 The Orc army maneuvers to align with the Roman defenders. 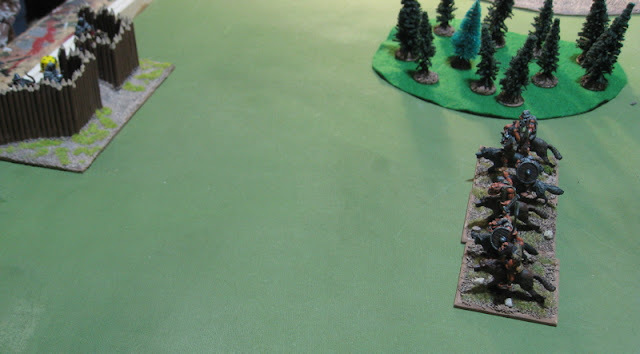 The first round of action was inconclusive. The Warband thrown back, the Magical Faerie Ballerina on Flying Rainbow Unicorn and the Cyclops were locked in battle! The Orcs move and flank both ends of the line! 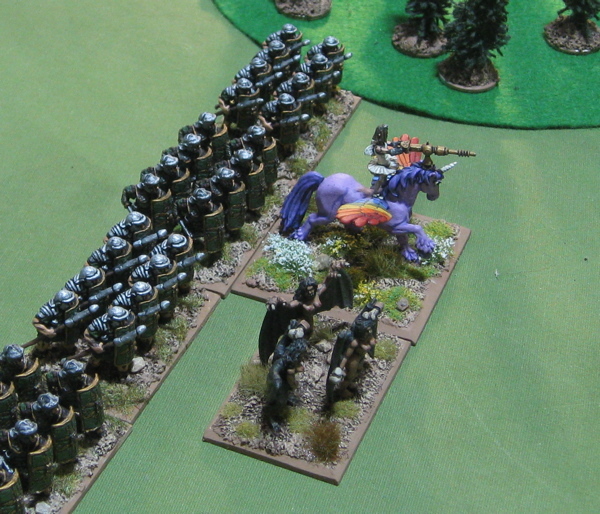 Things looked like they were going to go really, really bad for the Romans. 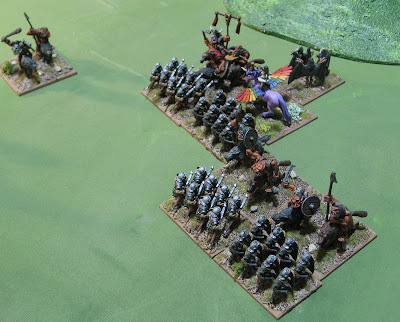 The Orcs rider general was at the end of the line and had his opponent flanked… +4 vs. +2 and a quick-kill… but the steady legionnaires threw them back, and then slaughtered another group of wolfriders and sent the remainder fleeing from the table! At the other end of the line the wolves, too, were thrown back and in the subsequent bound were followed up and chased off the table edge! 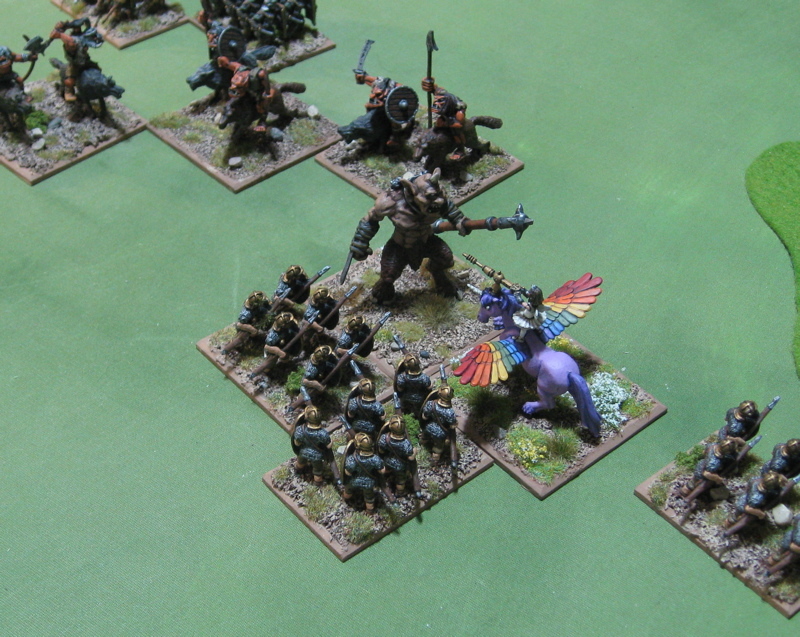 The following bound the harpies (aided by the Magical Faerie Ballerina on Flying Rainbow Unicorn) destroyed the Orcish Warband. All down the line Orcs were being thrown back. 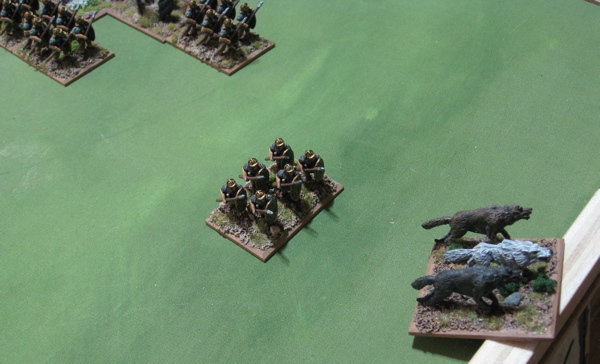 On the following bopund Finnegan rolled the first of a steady stream of ones for his PIP rolls and used it to have his general fall back in line with the other wolf riders. 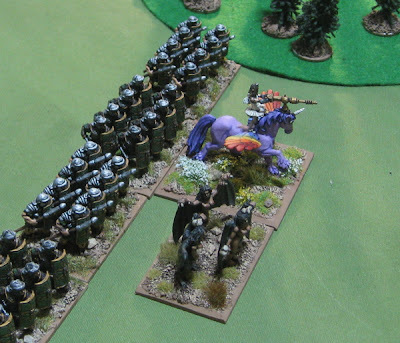 The Romans and their Magical Faerie Ballerina on Flying Rainbow Unicorn leader pressed their advantage, surging forward once again. Not much happened, but on the following bound the Orc General once again flanked the end of the Roman line. Once again they were thrown back! 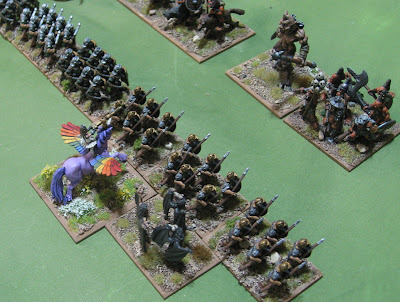 The legionaaires followed up and the Magical Faerie Ballerina on Flying Rainbow Unicorn, not wishing to follow the Cyclops into the woods flew over to lend a helping hand. This is just getting to be a mess… I can’t even begin to explain. But it worked out for Finn – as the orcs took down a few Romans – trying to level the playing field a bit.. The Magical Faerie Ballerina on Flying Rainbow Unicorn returned to fighting the Cyclops. The Cyclops reeled and the ferocity of the Magical Faerie Ballerina on Flying Rainbow Unicorn assault. Unable to engage the flying Magical Faerie Ballerina on Flying Rainbow Unicorn, but not wanting to be followed up and pushed further back into his own units (and thereby crushing them!) the Cyclops moved forward again. … and they put and end to that idea. And that was the end of the game. 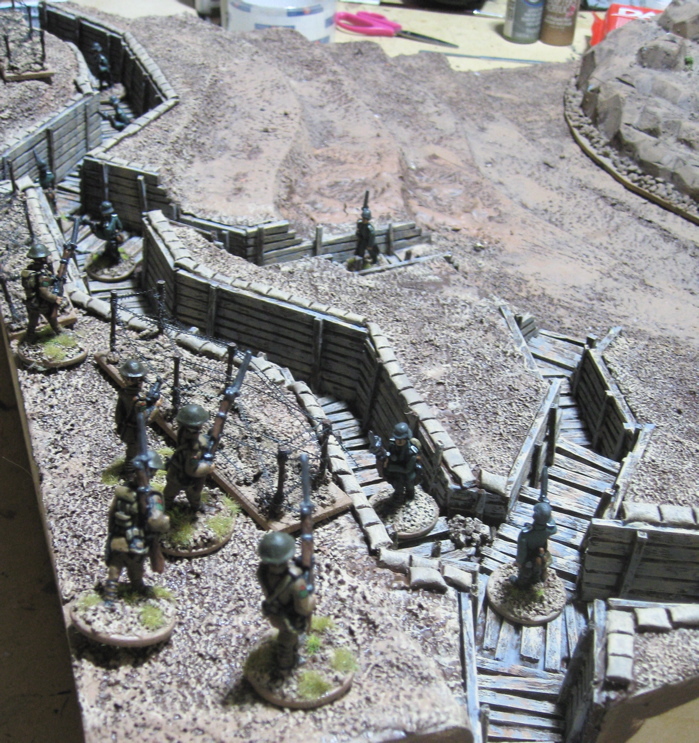 Just finishing up base details on the Great War Canadian MG teams. I shouldhave them posted tomorrow sometime.